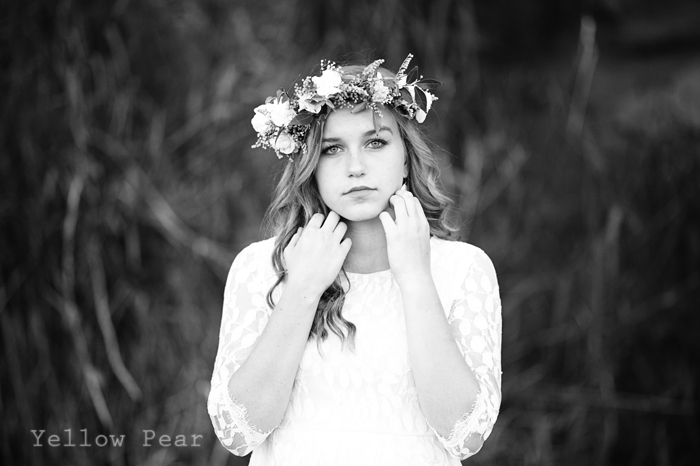 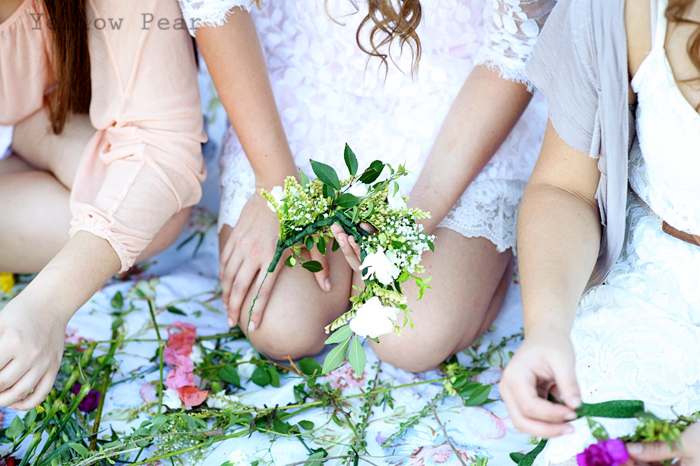 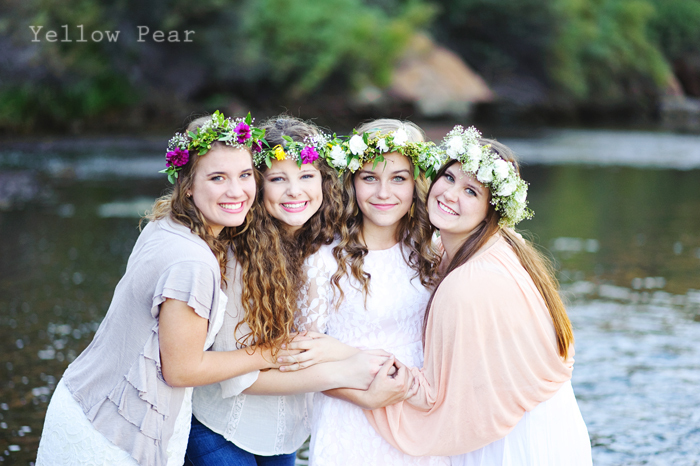 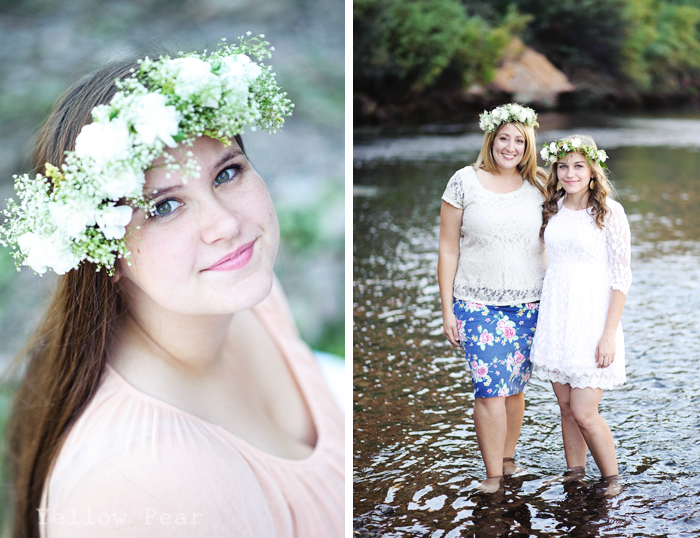 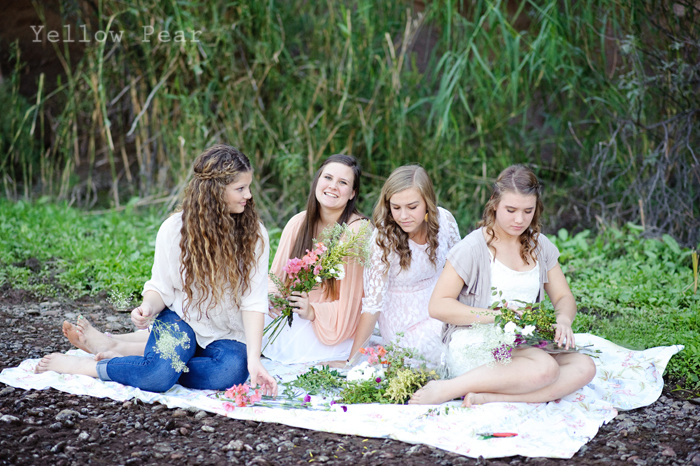 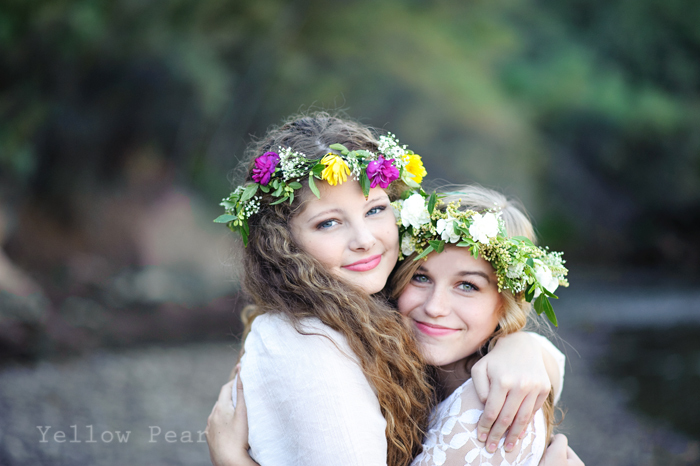 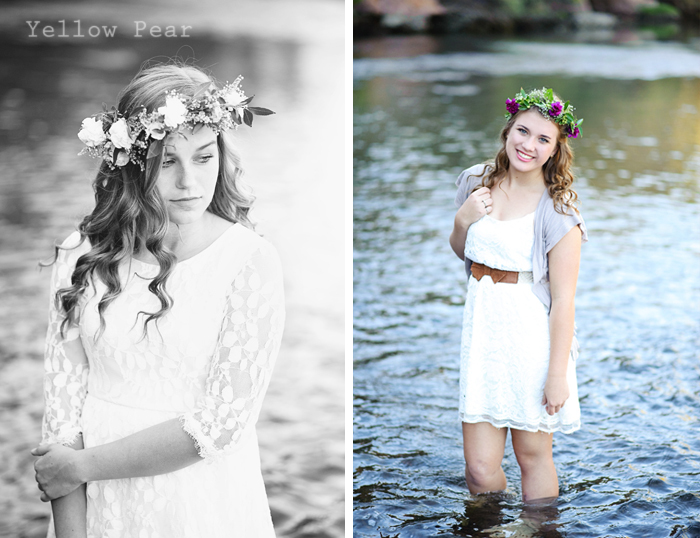 For Miss B's Sweet Sixteen, she invited three friends for a lovely day of flower crowns, a riverside picnic and photos. 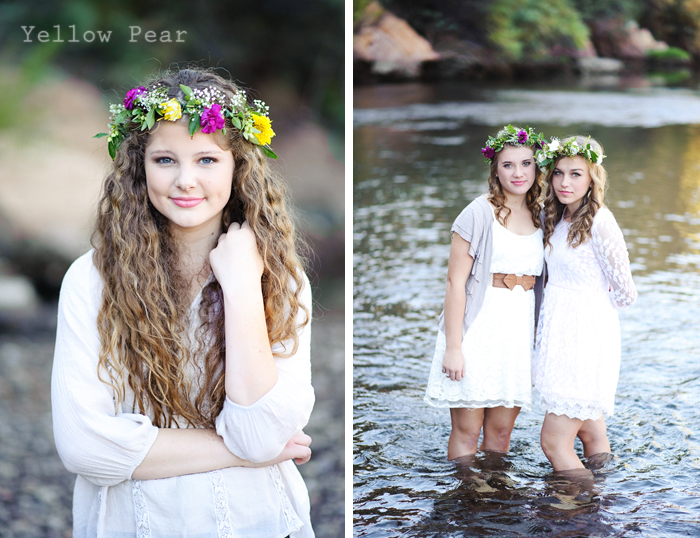 It was so much fun and we were able to find a breathtaking spot to take pictures and spend the afternoon. 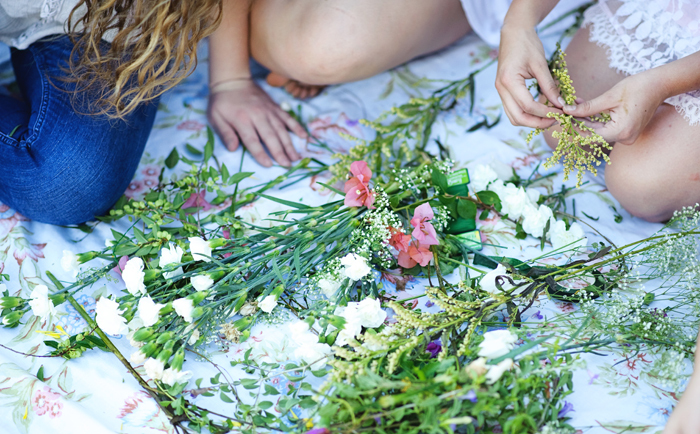 We bought a bunch of flowers ahead of time, along with some floral wire and tape and the girls went to town making crowns. 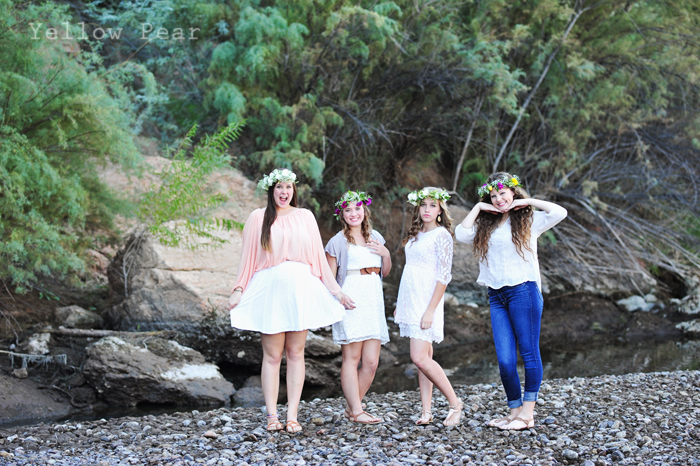 After that, we took photos like papparazzi and had a blast! 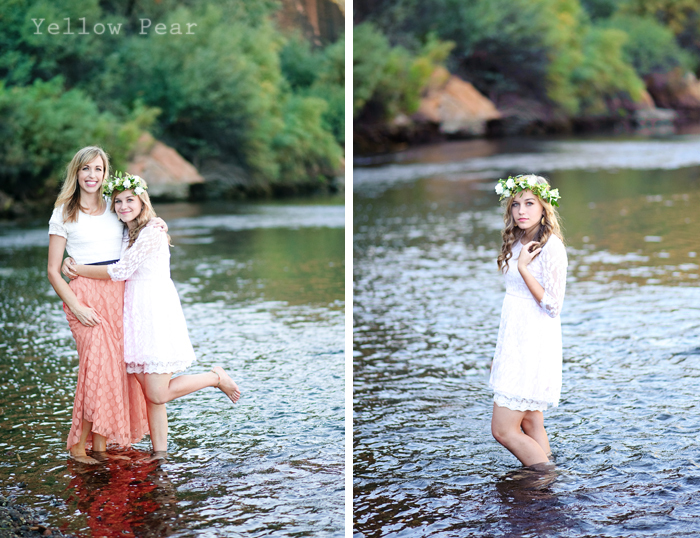 I am sure the other people who were visiting the river to get muddy and dirty were wondering what in the world we were doing there in dresses and pretty clothes! 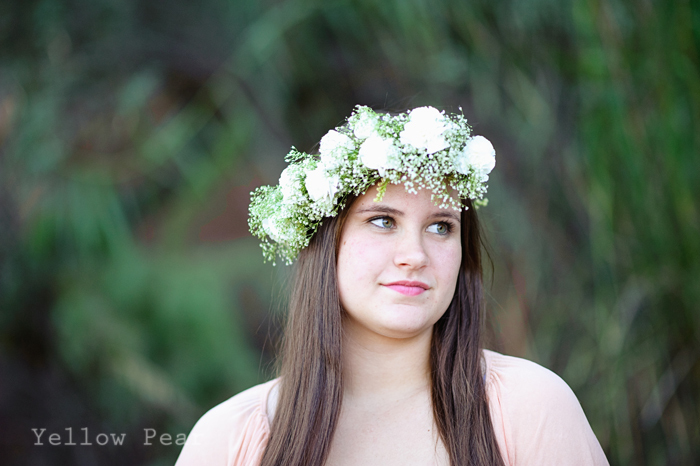 My friend Jessie came along to chat with me and help with photos and crowns and just hang out. 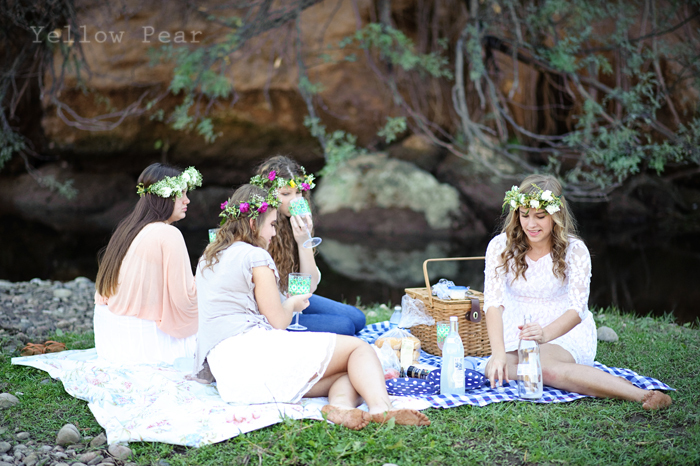 For lunch we had sandwiches, berries, eclairs, pasta salad and raspberry lemonade. 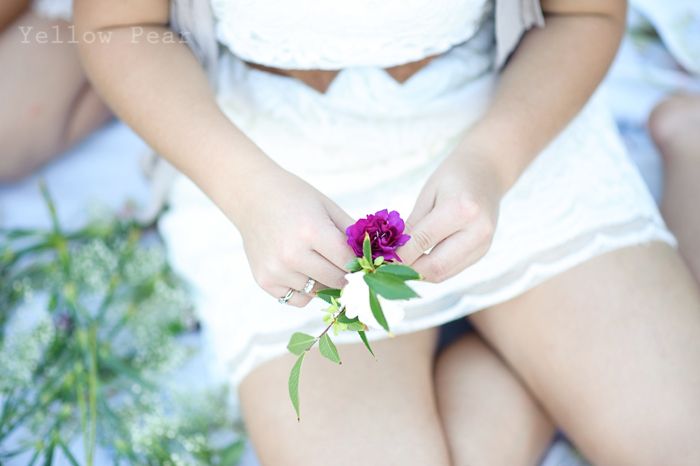 The whole thing was just easy breezy and so beautifully delightful. 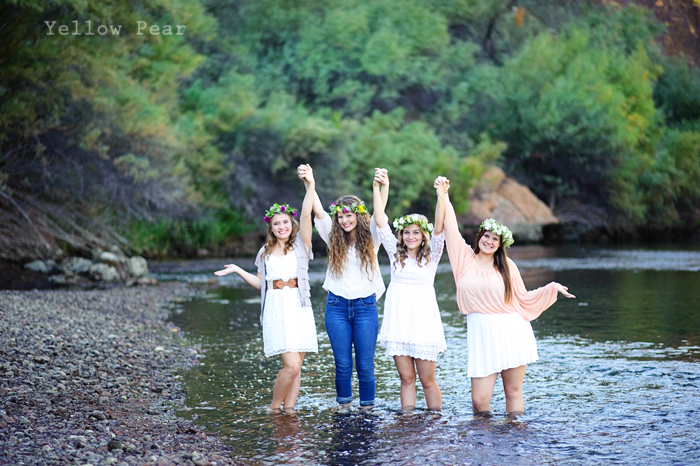 It was a perfect way to celebrate Miss B.